In Karis Church, we believe the matter of race or ethnicity is not just a social issue or a political issue in our country. We think it's a gospel issue. That's because the vision for Christ's bride, the church, that we see in Scripture, is one of a massive group of people made up of every tribe, tongue, and nation who worship their Lord and Savior alongside one another in love. As our nation celebrates Black History Month, we invite mid-Missouri to celebrate The Gospel in Color with us. This monthlong, February event will include guest preachers, special workshops, prayer events and more. Will you invite a friend and join us for a very special month at Karis Church? Every Sunday in February, Karis Church will welcome a guest preacher into the pulpit, followed by a lunch workshop led by our guest preacher. Will you join us at 10 a.m. on Sunday mornings to hear from one of our four guest preachers? Then join us immediately afterwards for a catered lunch and a workshop on the topics of race, class, social justice and the church. The price for the workshop is $5 per person for Karis Church members, but is FREE for all guests of Karis. So feel free to invite a friend! You can register for one of our four workshops on our events page. We believe that petitioning the Lord through prayer and repentance is necessary in the pursuit of racial reconciliation in our church and community. Will you join us for one of our prayer events in February? The first is a 24 hour of prayer event beginning February 1st that you can participate in from your homes. We are also inviting you to our Prayer Walks on February 10th and 24th in the Ridgeway neighborhood. We would love to have you join us for both of these events! 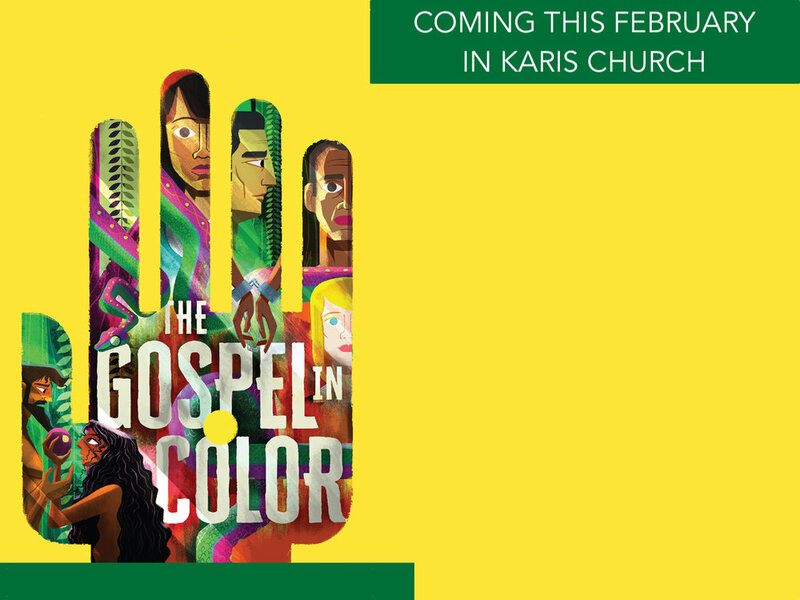 “The Gospel in Color” and “One Blood” are the Karis Church OneRead books for February. Karis Church elders regularly choose supplemental books for the congregation to read together in what we call a “OneRead”. This month, we recommend everyone purchase a copy of “One Blood” by Dr. John Perkins to read throughout February. We believe this book is both encouraging and challenging to all those who read it. In addition, if you have children in the home we recommend “The Gospel in Color” books by Curtis Woods and Jarvis Williams. You can purchase both of these books in our lobby on Sunday mornings, or on Amazon.